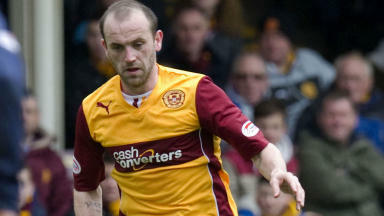 The Scotland international has signed a one-year deal with the Fir Park club. 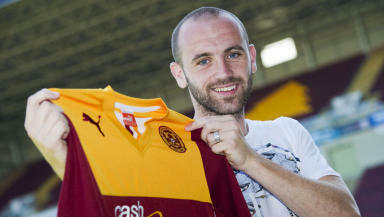 James McFadden has revealed he turned down better offers to renew his contract at Motherwell, the club he started his career with. The Scotland international joined the Fir Park side for the last three months of last season, netting five goals in 13 appearances. Despite being courted by a number of clubs McFadden insisted his decision to re-sign with 'Well was an easy one. He said: "I was offered more money to go elsewhere but there were more reasons for me to stay at Motherwell. "I'm 30 now and I'm not getting any younger so I need to be playing. "It didn't feel to uproot my family to go to another club. Being here has allowed me to enjoy my football and spend some time with my family. "It was an easy decision for me to make." McFadden is still held in high esteem by Scotland fans and the 30 year old has targeted a return to the national set-up. "That's one of my aims, to get back in the (Scotland) squad. "If I'm playing well and playing every week then that puts it up to the manager."